My latest more journalistic contribution for HSToday, providing them with an update on the situation in the UK. The timings are a little mangled, but provides some summary of recent HMG documents on terrorism. Thanks to Tim Stevens at Ubiwar for providing some very helpful insights in interview. The risk … is that a heavy-handed reaction will focus on the symptom, rather than the cause Britain is under a “severe” threat of a terrorist attack, according to its security services. But maintaining public engagement and support continues to be a problem for the British government, especially as it attempts to tackle the new menace of online radicalization. But critics speculated that the decision to raise the threat level had a lot more to do with the upcoming election cycle to stoke public fears for political advantage. Whatever the reason, terrorism remains the “preeminent security threat to the UK,” according to the first annual report of the Home Office’s Office for Security and Counterterrorism’s broadened counterterrorism strategy, known as CONTEST. And the upcoming 2012 Olympic and Para-Olympic games present “one of the most significant challenges we will face over the next two years,” the report stressed, noting that the principal terrorist threat to the UK continues to be Al Qaeda in Pakistan. Al Qaeda and instability in Yemen, Somalia and the Sahel also present a threat, the report stated. But while government sees a growing Al Qaeda threat, the public remains increasingly skeptical – apathy seems to be is the most noticeable feature of the public debate. There also is a high level of distrust. This is a deeply problematic disconnect when considering that the government’s strategy is meant to strengthen these communities so that they are better able to tackle negative ideologies themselves. As the report highlights, Muslims increasingly see the government engaging them only through the prism of countering terrorism, and see the specter of intelligence gathering behind any program that’s aimed at strengthening or engaging communities. Meanwhile, there’s a growing backlash among some communities angry at the money and attention that is being lavished on Muslims. Cognizant of these trends, there has been an effort to publish more information on Britain’s terrorist threats in an attempt to garner greater public support and understanding. Leading the way is the Home Office’s Research, Information and Communications Unit (RICU), which in addition to issuing a weekly report to its counterterrorism consumers that highlights the official line on relevant stories each week, also issues reports for internal use only. The report didn’t receive a very warm reception. Guardian newspaper columnist Brian Whitaker asked: “Why did they bother” to publish a report that threw up “some blindingly obvious insights.” That sentiment was echoed by Jillian York at Al Jazeera, who attacked the report’s “flawed” methodology while quoting a number of the bloggers “outed” as pro-Islamic. Similar perspectives were repeated in an HSToday.us interview with Tim Stevens, a researcher of online radicalization at the International Center for the Study of Radicalization at King’s College. In much the same way that Muslim communities perceives that the government sees them solely through the prism of terrorism, their online counterparts appear to be angry that moderate voices are being scrutinzed by researchers who are paid out of a counter-terrorism budget. Nevertheless, understanding the Internet and its role in radicalization is a key focus of the British government. A recent high-profile BBC series, “Generation Jihad,” focused on the growing importance of the Internet in terrorist plots in the United Kingdom and its apparent influence in radicalizing ever younger individuals. The risk, however, is that a heavy-handed reaction will focus on the symptom, rather than the cause. These ideas, though, will continue to be the principal long-term battleground for the British, and global, counterterrorism struggle. A new post (actually mine this time) over at Free Rad!cals, this time emerging from something that occurred to me as I was reading the Stefan Aust book about the Baader-Meinhof group. For those who don’t have the patience for the book (which is quite chunky, but at the same time, is a very quick read: he is a journalist and it is made up of lots of short chapters), I really rather enjoyed the recent movie, though I can see it skips over some details. I have been re-reading Stefan Aust’s excellent book The Baader Meinhof Complex and have just finished trudging through the part which looks at the Stammheim trials period when four of the main Rote Armee Fraktion (Red Army Fraction, RAF) members, Andreas Baader, Gudrun Ensslin, Ulrike Mienhof, and Jan-Carl Raspe were held in the high security Stammheim Prison while they were on trial for a series of RAF attacks. 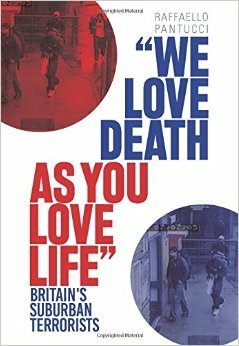 What is interesting about the Baader-Meinhof story is that in many ways there are parallels to be drawn with the current wave of extreme Islamist terrorism in the West. A small group of individuals, mostly young, educated and from middle class families, become persuaded that the system that they were born into and live in is fatally broken and the only way to fix it is through the use of purgative violence. Of course, it is equally easy to pull holes in the comparison, but that is not the focus of my train of thought here. The Stammheim part highlights the differences to me. For the RAF group the trial was an opportunity to grandstand for the media and an attendant audience. They disrupted the trial to the point that they were not even present to hear the conclusion. This has manifestly not been the case with the ever increasing roster of Islamist terrorist cases in the West, where instead the defendants have chosen, for the most part, to use the trials as an opportunity to plead innocence while they remain silent about any connections to other terrorists. This is one of the fascinating elements of the movement which has found appeal amongst a specific community of young Muslims in the West. These individuals appear committed enough to go and train in camps in dangerous corners of the world and then come back home to plot, but they do not appear willing to try to stand up for their convictions in court or to publish voluminous texts to support their activities. At the same time they are also remarkably resilient in terms of caving to pressure and giving each other or their superiors up. To paraphrase what I recall hearing a former senior copper saying, the halls of Paddington Green police station (where most terror suspects are taken in the UK), are not “ringing” with the sounds of confessions. On the one hand, this could be explained away by the fact that they genuinely are innocent and are merely sticking to their guns. But in counter to this, in cases where there is a pretty heavy burden of evidence against them (for example, Bilal Abdulla who was literally caught sitting on his bomb outside Glasgow airport), we have still had them denying culpability and offering pretty thin political statements to defend their actions. Nowhere have there been the sort of detailed political writing and haranguing that we find during the RAF trials: the RAF prisoners used to send letters between each other arguing about their political beliefs and published books and statements about their cause. The closest I have seen to this is the odd letter that leaks out from the prison system which is claimed to be written by incarcerated extremists, but these mostly complain about their treatment inside rather than going into the finer points of Islamic jurisprudence. But the question remains as to whether this is a sign of a lack of seriousness and thus weakness of the central motivating ideology, or whether it is a sign of strength. Weakness since they do not appear to be able to back their convictions with stirring rhetoric, or strength since they are willing to take their punishment and silently sit it out to prepare to return to the fight when they are released. Given the control order regime which can continue to hinder activity once released, there is a benefit to staying quiet and acting calm. After all, hatred is patient. For the RAF the Stammheim trials marked the end of the first generation of fighters. Ulrike Meinhof killed herself long before the trial ended, while the other three killed themselves a few months after the verdicts were handed down (a fourth member, Irmgard Moller, also attempted suicide, but survived the attempt and claimed it was all a government plot). The group continued on until it officially disbanded in 1998 – giving it a total lifespan of 28 years. I am unsure how far we are along in the current lifespan.